Michael Anthony Auto Service Inc. Offers Auto Repair Services You Can Count On! 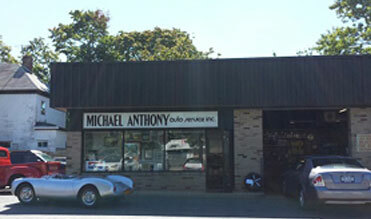 Michael Anthony Auto Service Inc. is the automotive expert in Bay Shore, NY 11706. Since, 1979 we've provided the Bay Shore area with reliable, affordable automotive maintenance and repair services including 4x4 Services, Brakes, Car & Truck Care, Domestic Cars & Trucks, Electrical Services, Electronic Services, Engine & Transmission, Engine Maintenance, General Services, Heating and Cooling Services, Import Cars & Trucks, Inspections and Emissions, Tires, Towing, Towing & Recovery, Transmission Services and Undercar Services. We have experience servicing all makes and models of domestic and import vehicles, and we're honored to keep vehicles throughout the Bay Shore area reliable and well-maintained. Our skillful mechanics will take great care of your vehicle too, quickly diagnosing any problems and offering cost-effective solutions to get you back on the road. Call Michael Anthony Auto Service Inc. today at 631-666-5671! You can also send us an email. Either way, we're looking forward to providing you with reliable automotive service! The best I have used. They service my cars-the antiques and the late models. They are cordial, understanding, and knowledgeable. There is nothing I wouldn't trust them with. They stay with it until it is done right. From front office to bays, this is the place. Omg these guys are amazing. I found them on yelp because I need to get my car look at. They took my car in early in. Within an hour I got a call back with what was wrong. They fixed it and had my car the next day for work. These guys are the best... honest, timely and they deliver what they promise! Fast service. Very helpful and friendly. They are also honest. Great place to bring your car. Great fast service. Friendly, professional.